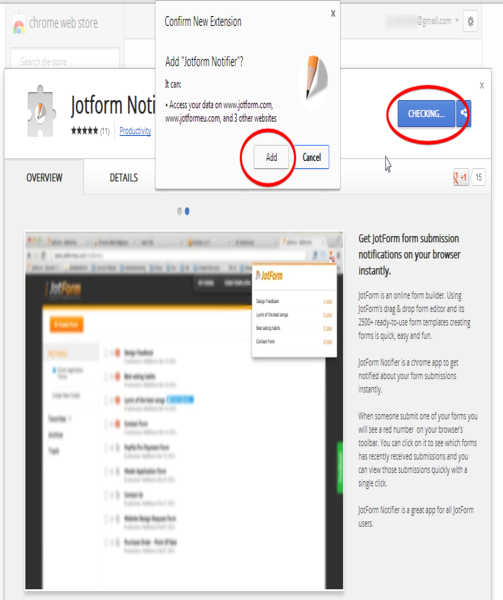 JotForm Notifier is a chrome app to get notified about your form submissions instantly. 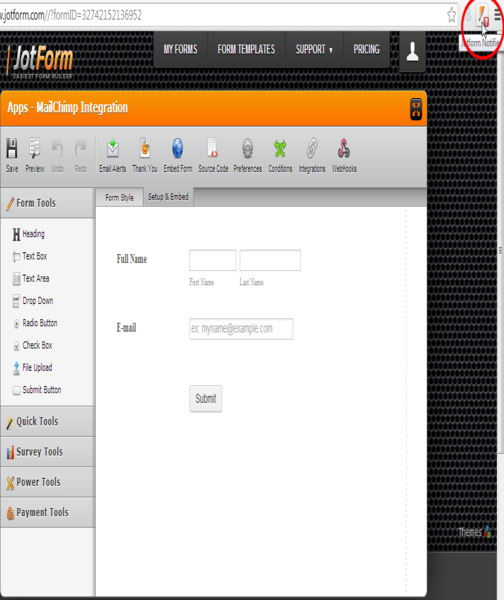 When someone submit one of your forms you will see a red number on your browser's toolbar. 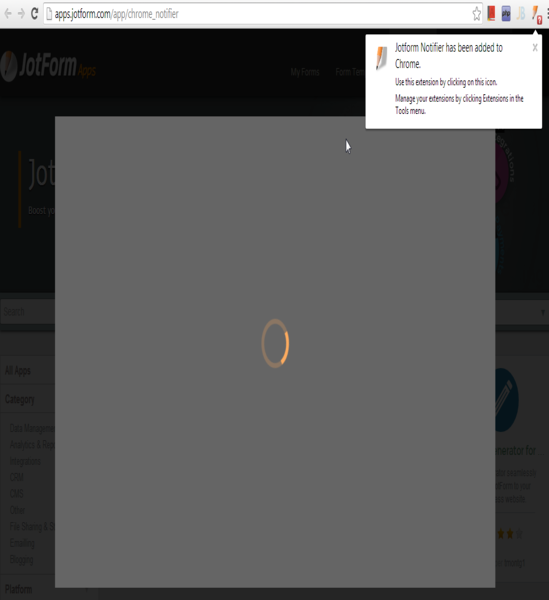 You can click on it to see which forms has recently received submissions and you can view those submissions quickly with a single click. 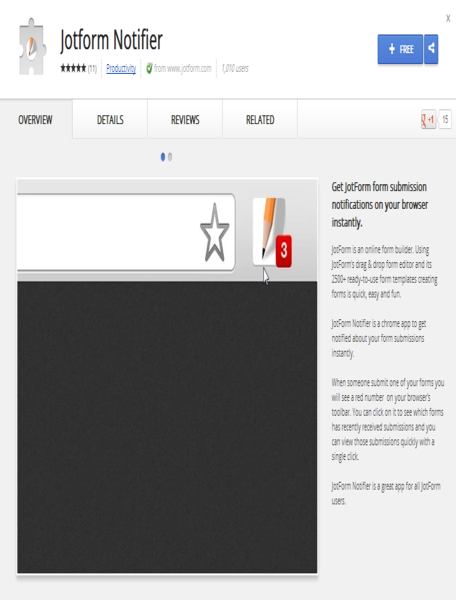 JotForm Notifier is a great app for all JotForm users. Muy Bueno. Muchas Gracias por Todo. 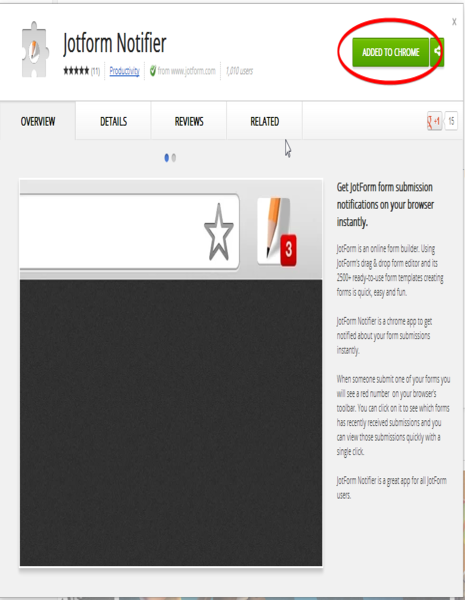 can we set witch form shows alerts on chrome?